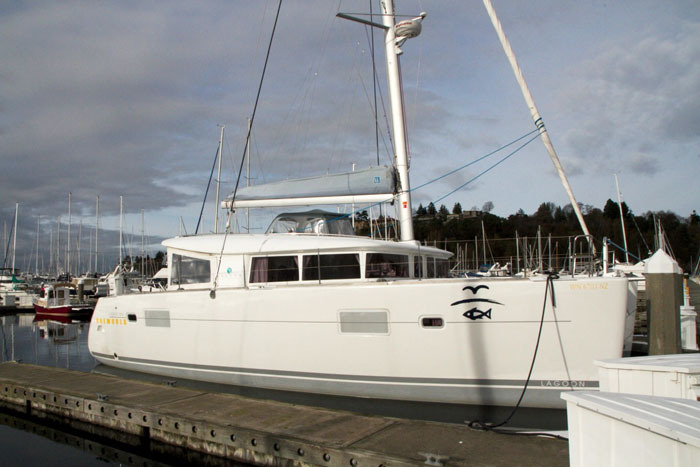 Join us this August, 2017, we will be sailing through the Islands of the Pacific Northwest in the 40' Lagoon Catamaran, "Migrator"
This boat is a 10!!!! 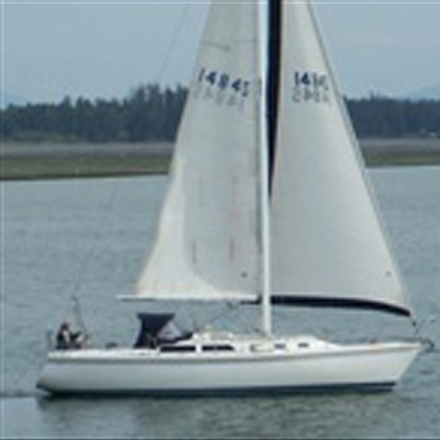 The Rebecca Anne is a 34 Catalina with a very functional layout. She has great sails with a roller headsail. Theres also an 10 RIB Inflatable with 10hp motor, dodger with cockpit cover, color chart plotter with blue charts, Wing keel, Shoal draft 4. Another perk is the hot and cold water pressure! 50' Beneteau Oceanis 505 "Christelle"
Four Private Double Staterooms. Crew Quarters, Crab Ring, Mahogany Int. Electric sail handling winch. 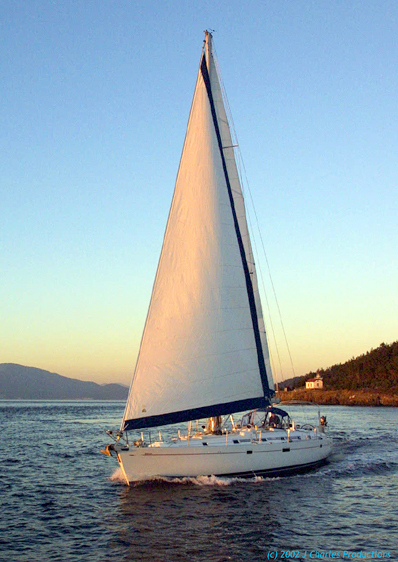 The catarmaran is our favorite cruising design. It features an expanded cockpit seating, an enlarged galley with cockpit access, large picture hull windows for viewing and lighting. The 40 footer is a new 1010 and has an elevated bridge. It has 3 cabins 3 heads with showers and accomadation for up to 9. 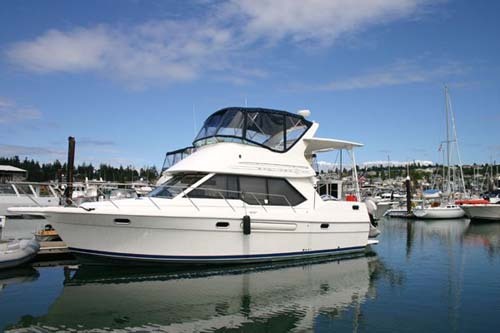 This layout Includes two side by side refrigerators, microwave, autopilot, dinghy davits, and enclosed bimini. 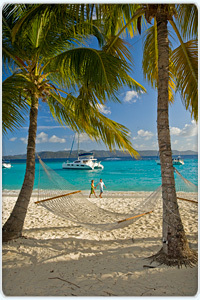 The 38 is the worlds most popular cruising catamaran and the 380 has design enhancements to make it even better. Features expanded cockpit seating, an enlarged galley with cockpit access, large picture hull windows in each of the cabins for viewing and lighting, and larger steering console with double seating. 3 cabin/2 head layout offers spacious head with separate shower stall. 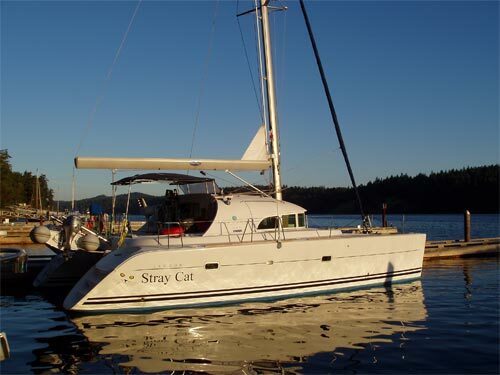 Includes inverter, TV/DVD, XM radio microwave, autopilot, dinghy davits, and soft top bimini.